The Aero XDC (eXternal Drive Compartment) allows you to attach an external hard drive to your Tether Table Aero without taking up valuable space on the platform. The compartment mounts directly under the table's surface, allowing you to enjoy all the benefits of having an external hard drive handy without having to worry about where you will put it. Artfully designed to seamlessly integrate with the complete Aero System product line, the XDC is constructed of the same lightweight T6 Aerospace aluminum and is finished in brushed silver or non-reflective black to complement the Tether Table Aero. The Aero XDC can be positioned on either side of any Tether Table Master, Standard or Traveler, integrating effortlessly into any photographer’s existing work-flow. 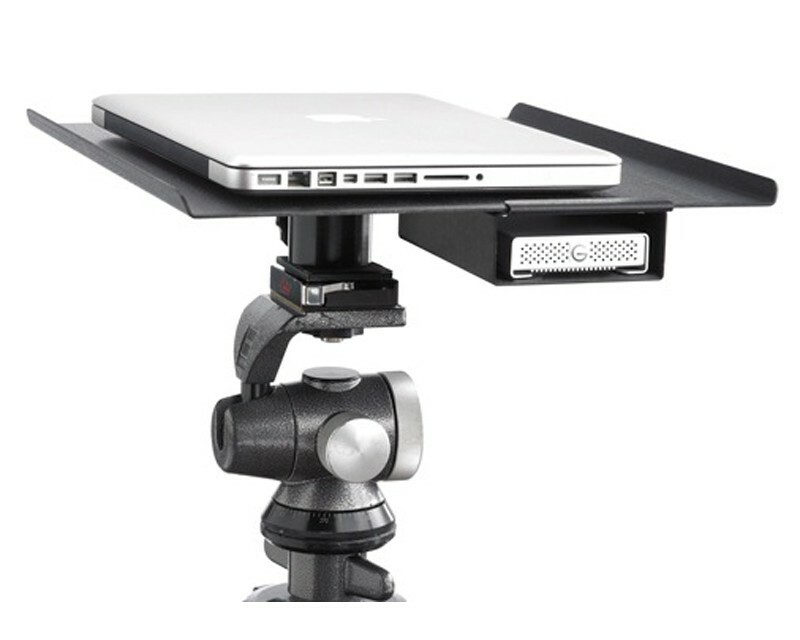 The Aero XDC is also compatible with the Aero MacBook Pro 13”, 15″, 17″ and iMac Tether Tables, but can only be positioned on the left side of the table. If you have a custom-designed Tether Table, please contact design@TetherTools.com to check compatibility. This product is not compatible with the Tether Table Premier.